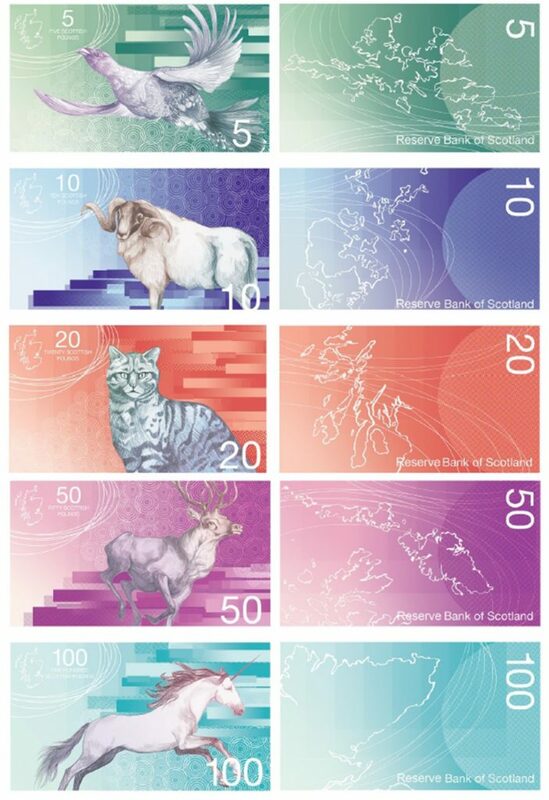 There are many practical options available on the currency of an independent Scotland, of which this is one. Scotland will introduce its own currency as soon as practicable (as determined by the Scottish Government at the time) after Independence Day, and in the meantime we will continue to use our own existing Sterling. On or before an anticipated vote for Independence, it will be decided in principle that Scotland will have a new Scottish Currency and a Central Bank to manage it. A Preparation Period will run from the vote for Independence until the date of Independence, during which Parliament will pass legislation to establish the Reserve Bank of Scotland as the Central Bank, and to direct it to introduce the Scottish Pound. During the Preparation Period, the notes and coins will be designed and manufactured, and all bank accounts to be exchanged will be identified. It will be clear at all times, including prior to the Independence Referendum, that the exchange of Sterling will be entirely voluntary. A domestic and international payment infrastructure will need to be established, using existing international standards and compatible with the European payment system. The initial exchange rate between Sterling and the Scots Pound will be one-to-one. A Transition Period will start as soon as practical after Independence Day. During the Transition Period the exchange of Sterling for the new notes and coins will begin, and bank accounts to be exchanged will be closed and replaced with new Scottish Pounds accounts to the same value. The existing Sterling notes and coins will be sold to the Reserve Bank in exchange for Scots Pounds. Likewise, the full or partial contents of accounts to be exchanged will be sold to the Reserve Bank in exchange for Scots Pounds. So the new currency will start off with £50 billion or so of foreign reserves and will be the ONLY currency in the world backed 1 to 1 by foreign reserves. All the benefits of creating currency go to the people of Scotland and NOT the private bankers. Existing contracts and mortgages will be able to continue on their existing terms but it would be preferable to convert these to the new Scottish currency. The Scottish government should set up systems to aid these conversions. Official contract, for example civil service employment contracts, contracts with Scottish based suppliers, etc will in most cases be converted. The payment of taxes, pensions, welfare payments and most government supplier payments will only be possible in Scottish Pounds from the end of the Transition Period. Almost all debts of the Scottish Government and related organisations will be converted to Scottish Pounds at the end of the Transition Period. The opening foreign reserves of Scotland would be primarily the £70 billion or so of Sterling exchanged. Any share of UK assets that might be obtained is relatively insigniﬁcant by comparison. The Scottish Government might accept a liability to pay a share of UK National Debt. If it does then this would result in the Scottish Government issuing a bond to the UK Government for the agreed amount at an agreed interest rate and repayment schedule. The issuing authority of existing UK bonds cannot be unilaterally changed and allocated to the Scottish Government. Scotland would have an extremely high level of net foreign reserves by comparison with other countries, possibly twice as much as held in 2016 by the Bank of England and 6-7 times as much as countries such as Denmark. The excess reserves are not required by the Central Bank and could be used for a more productive purpose. Ideally that might he a down payment into the proposed Sovereign Wealth (Oil) Fund, but might also be used to pay off a share of the UK National Debt. Whether the Scottish Pound would ﬂoat freely, be managed against a basket of other currencies, or some other arrangement after equivalence with Sterling ends at the end of the Transition Period, would be a political decision for the Scottish Government at the time. The Scottish Government would need to decide whether or not the commercial banks based in Scotland would continue to be allowed to issue their own (Scottish Pound) notes. Yes Edinburgh West has a website, Facebook, Twitter, National Yes Registry and a Library of topics on Scottish Politics, including Currency.